Athletes in St. Kitts and Nevis were assured of the Ministry of Sports’ commitment to propel sports “beyond a pastime to that of a new development frontier”Â that facilitates personal advancement and economic transformation of the twin-island federation. Deputy Prime Minister, Honourable Shawn Richards, made the pledge on Wednesday at an award ceremony at Netball City, Warner Park, which recognized the accomplishments of junior athletes at school organized competitions. Honourable Richards, who is also the minister of sport, said the value of sport should never be underestimated as it allows the “nurturing of cultures, of healthy lifestyles for our youth and aged, able-bodied and differently abled alike. Many of the country’s top athletes would have at one time or another been impacted by the developmental programmes of the Department of Sport. From Kim Collins in track and field, and Keith “ËœKayamba’ Gumbs in football to Jacques Taylor in cricket. The efforts of senior athletes training for the 2016 Summer Olympic Games in Rio, Brazil, were cited as a source of motivation for the junior athletes. 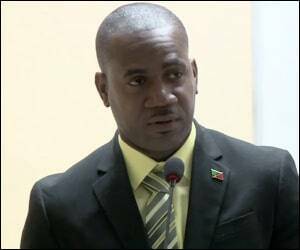 “Let these athletes be your examples of sacrifice and commitment, not only unto the accomplishments of personal bests and attainment of the accolades of the world, but more substantially the honour of standing tall among the world’s best in representation of their land of beauty having shone brilliantly on the field of competition,”Â Deputy Prime Minister Richards said. The athletes were encouraged to go forth and believe in themselves as they push the boundaries, and to always be good ambassadors of St. Kitts and Nevis.